Wellington is in good shape, having played regularly at Cruzeiro. If his star will shine as bright as his enthusiasm, only time will tell. But, as I’ve said before: I think it’s a perfect match. 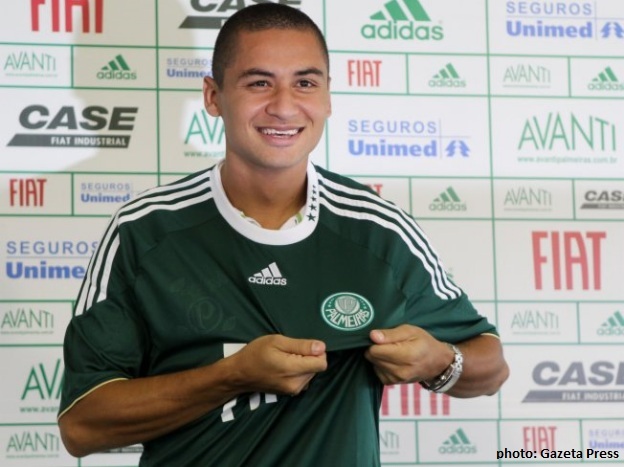 Wellington comes as a loan until the end of the years, with Palmeiras having the option of buying the player later. The signing of Wellington Paulista was conditioned to the immediate transfer of Vitor – the young Palmeiras rightwinger currently defending Sport/PE – to Cruzeiro. Vitor will stay at Cruzeiro on the same terms as W. Paulista at Palmeiras, i.e. until the end of the year, with Cruzeiro having an option to buy. Another transfer was recently announced: midfielder Wendel leaves Palmeiras for Atlético/PR, the same club that last week had their bid for Pierre turned down. At Atlético, Wendel will likely play as a defensive midfielder or on the right flank. Anything Palmeiras wishes both Wendel and Vitor all the best and good luck in their new endeavours. As mentioned, Palmeiras face Santo André in the next stage of the Brazilian Cup; the first game takes place at the Bruno José Daniel stadium – in Santo André – with the second leg at the Pacaembu stadium on the 21th. Today’s game in the Paulista championship is against Grêmio Prudente, currently at the very bottom of the tables. Although Palmeiras normally should return with three points, a word of warning: Grêmio Prudente has improved after the recent change of coach and morale is high after the elimination of Atlético/MG in the Copa do Brasil only two days ago. Without Patrick (injured) Kleber and Cicinho (suspended), Palmeiras might lose quite a bit of offensive power. We will depend on the inspiration of Valdivia and Lincoln. Many are excited to see these two side by side, but it will most likely not happen as the idea desn’t please Scolari, who favours a midfield with more defensive abilities. Adriano and probably Vinicius will form the attacking duo. 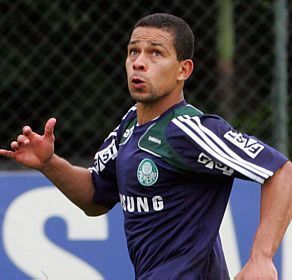 Before signing off, a little piece of gossip: Palmeiras is seeking to repatriate Henrique, the centreback that played briefly for Palmeiras in 2008 and prematurely (at least that’s the feeling of most palmeirenses) left for Europe. 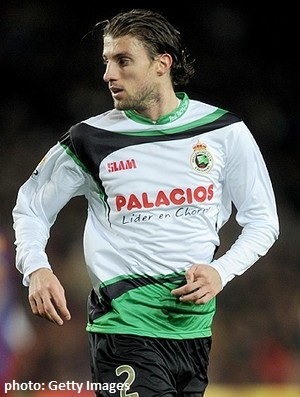 Henrique belongs to Barcelona, but currently defends Racing Santander. He’s expressed a wish to return to Brazil and even, specifically, to Palmeiras. However, there’s no indication that Barcelona is willing to let Henrique go right now. Let’s wait and see. Henrique would indeed fit like a glove if he were to replace Danilo, who’s heading for Italy at the middle of the year. Next Keep the course, Captain!